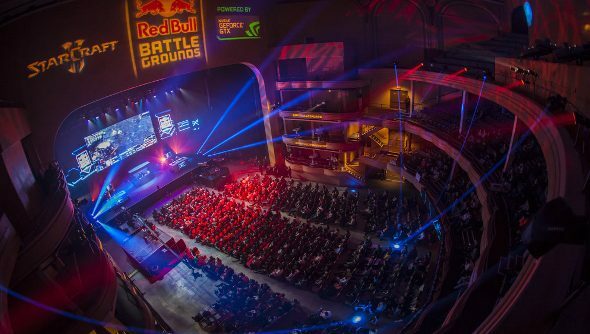 Red Bull Battle Grounds is in Atlanta for the weekend, seeing competitors duke it out over three days in StarCraft 2. The victor gets a spot in the Battle Grounds Grand Finals in Washington DC this September. A whopping 128 players will be whittled down to one across the three day event. It’s a diverse bunch of players, too, as it was an open registration format, welcoming old pros and new competitors alike. Take a gander below to watch the stream, and come back each day for more StarCraft 2 battles. While the winner of the tournament will get to go to DC, 32 runners up will receive part of the $25,000 prize pool. The winner will take $8,000, with the rest being split between the subsequent brackets going down to $200 for anyone who places 32nd to 17th. The 128-player competition is broken up into 32 WCS format groups, with the top two players moving onto the 64-player BO3 single elimination phase. The map pool consists of Alterzim Stronghold, Frost, Habitation Station, King Sejong Station, Merry Go Round, Overgrowth and Waystation.Pros playing include Choi “Polt” SEong Hun, Danny “ViBe” Scherlong, Olivia “Livibee” Seeto and Huang “TooDming” Hui Min.